I am pulling out my fall decorations this week. When do you decorate for fall? 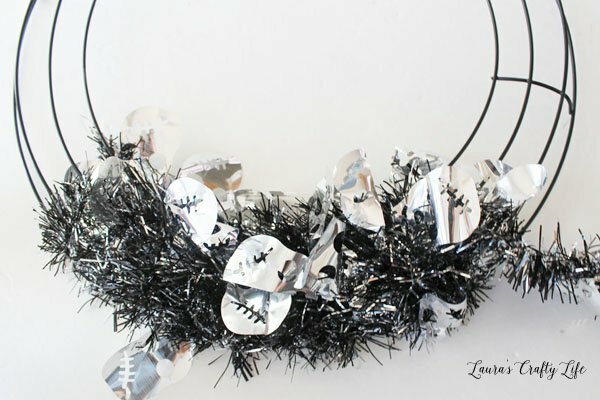 I have a quick and easy Halloween wreath you can make with inexpensive supplies from the dollar store. 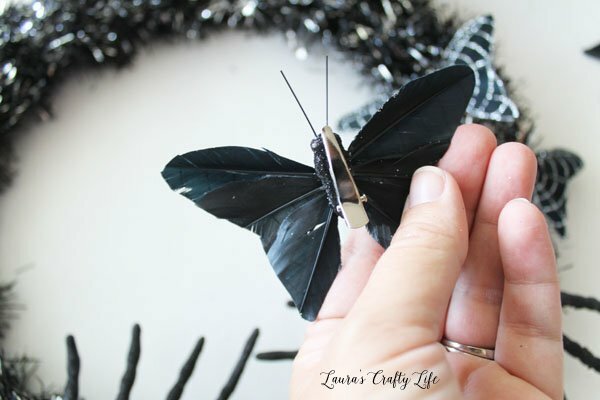 I purchased all the supplies for this project at Dollar Tree (except for the glue gun). 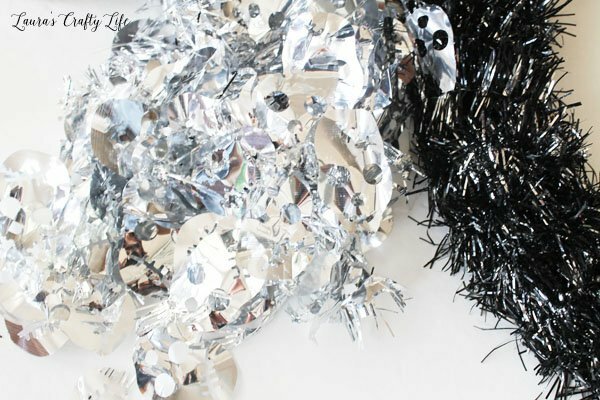 Start by wrapping your wreath form with the garland. I didn’t use anything to secure the ends, I simply tucked them under the part I was wrapping, but if you are worried about it coming undone you could use a little dab of hot glue to secure the ends to the wreath form. 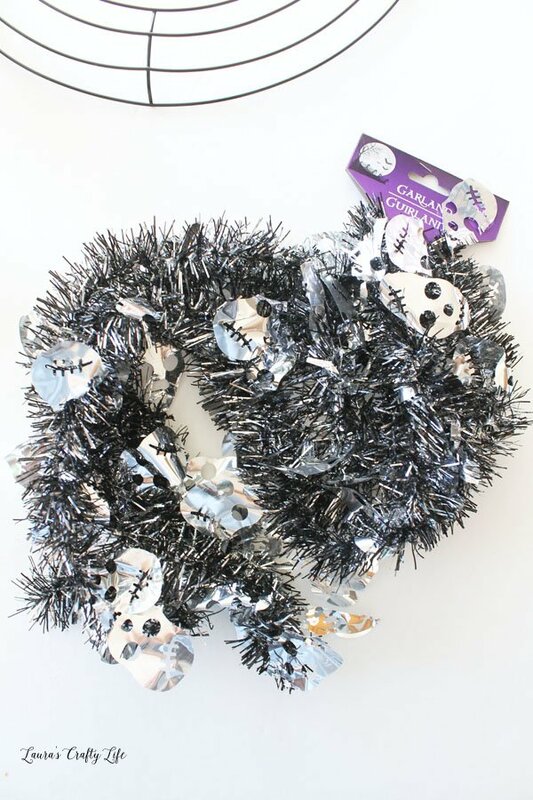 Note: I didn’t like the look of the skulls hanging all over the wreath, so I just snipped them off with scissors. I hot glued each of the spiders to the form. The little butterflies have clips on the back side, so I just clipped them on the frame of the wreath – two on either side of the spiders. 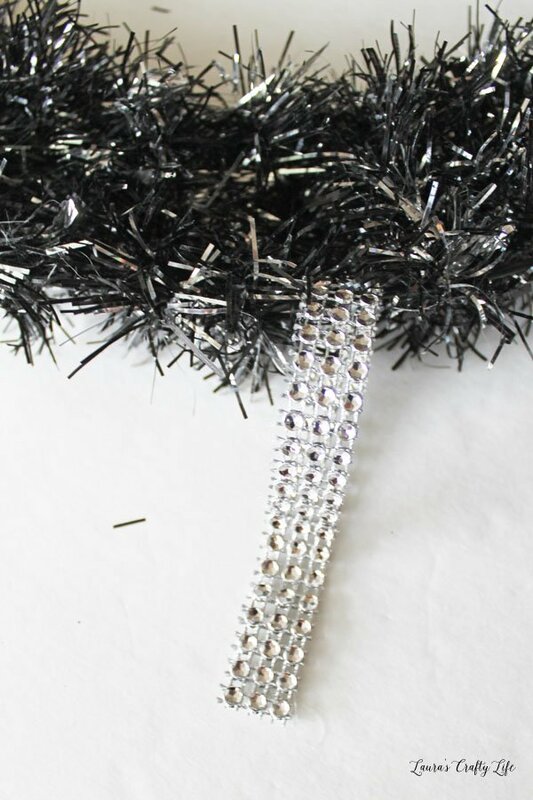 I tied a bow with the glittery black ribbon. 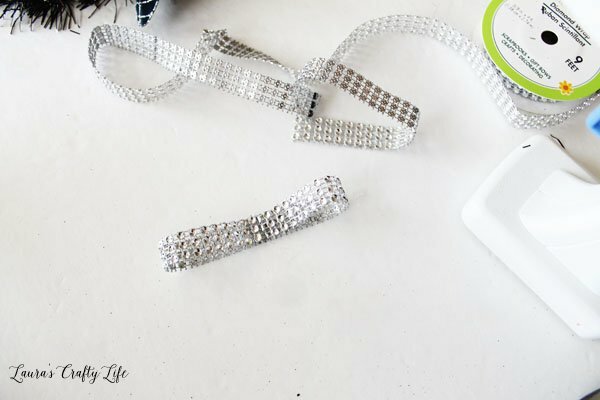 Since it was so plain, I created a ribbon loop with the diamond wrap and secured the ends in the middle with hot glue. I then glued the black ribbon to the diamond wrap loop. 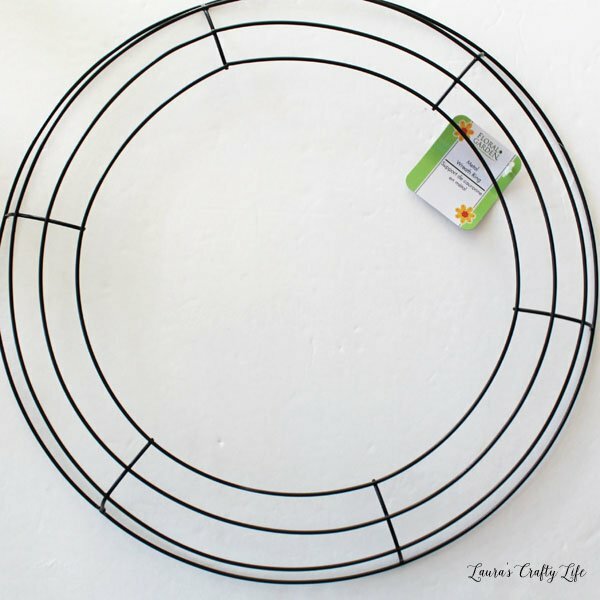 I created a diamond wrap ribbon hanger on the wreath by creating a loop around the top of the metal wreath form on the back side and hot gluing the ends together. 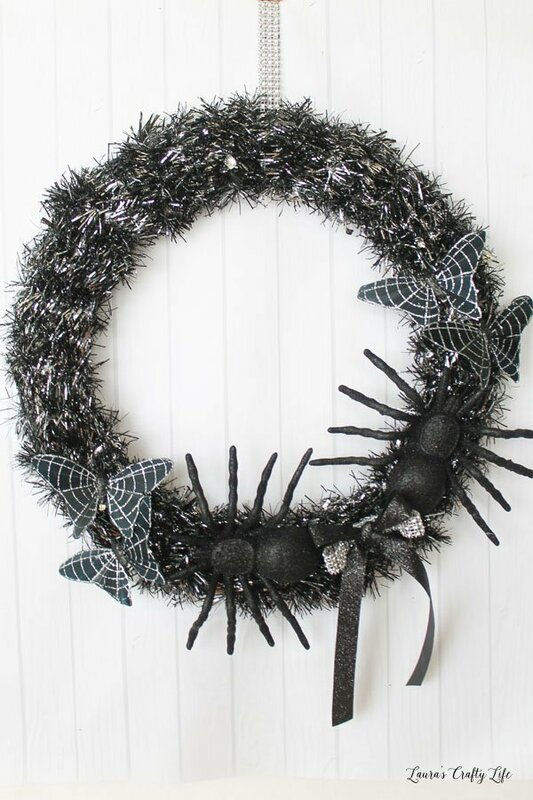 I have a fall wreath I normally leave up from September through November, but it will be fun to switch it out with this Halloween wreath in October. 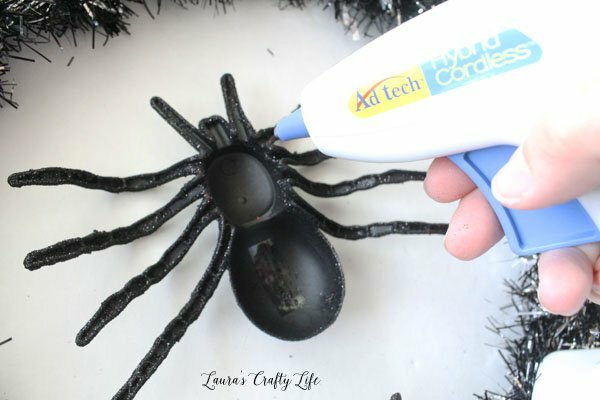 The big glittery spiders are so fun! 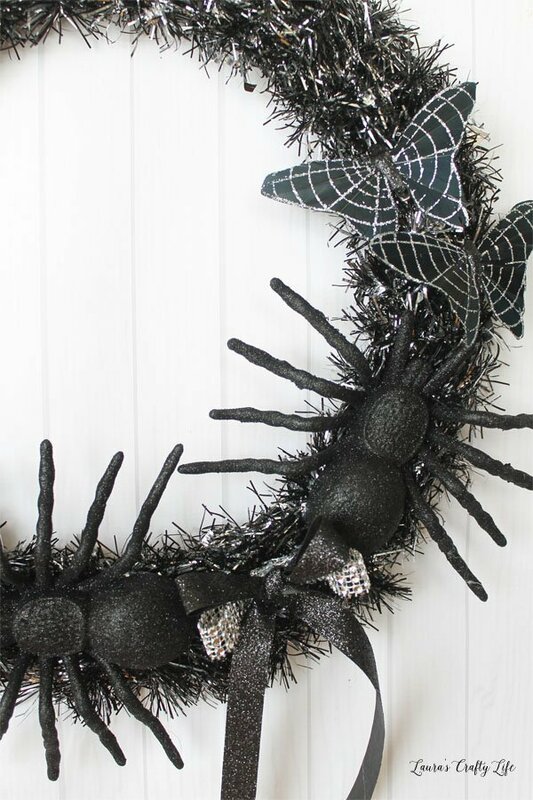 I never thought a wreath could be pretty and spooky at the same time, but I think you’ve done it! 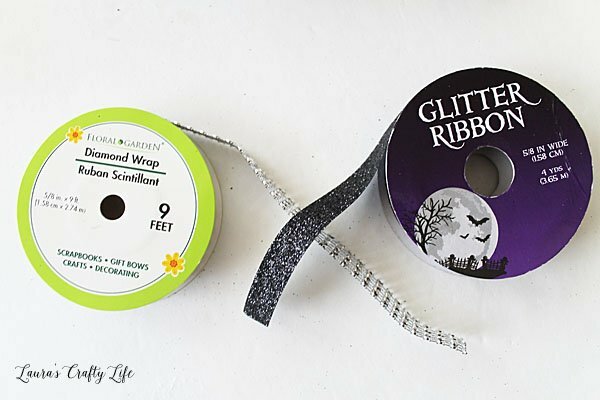 Love this – perfect for Halloween! !